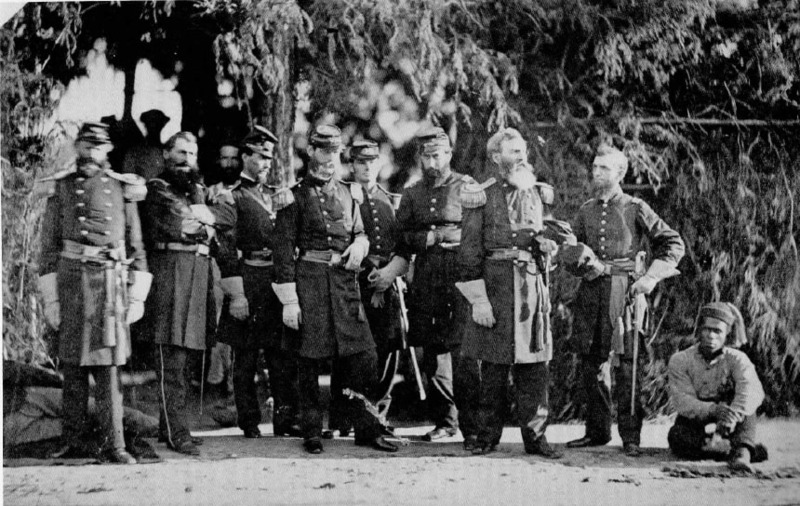 From October 1861 to April 1862, the 88th Pennsylvania, along with the 8th Illinois Calvary served as the Provost (military police) force in Alexandria and outlying forts. Known as the "three Eights" the two regiments did much to restore business while protecting both citizens and soldiers from the abuses of the other. Maligned as "Hessians" and "Mudsills" by a resentful population under occupation, the soldiers spent more time battling the effects of drunken Union soldiers and "ladies of ill repute" than did they any Confederate threat. While this time did allow the regiment to coalesce, train, and draw full equipment, all of which allowed them to be better troops when they did see combat. Company E: in the brick house on the south side of the alley on Fairfax Street between King and Prince. 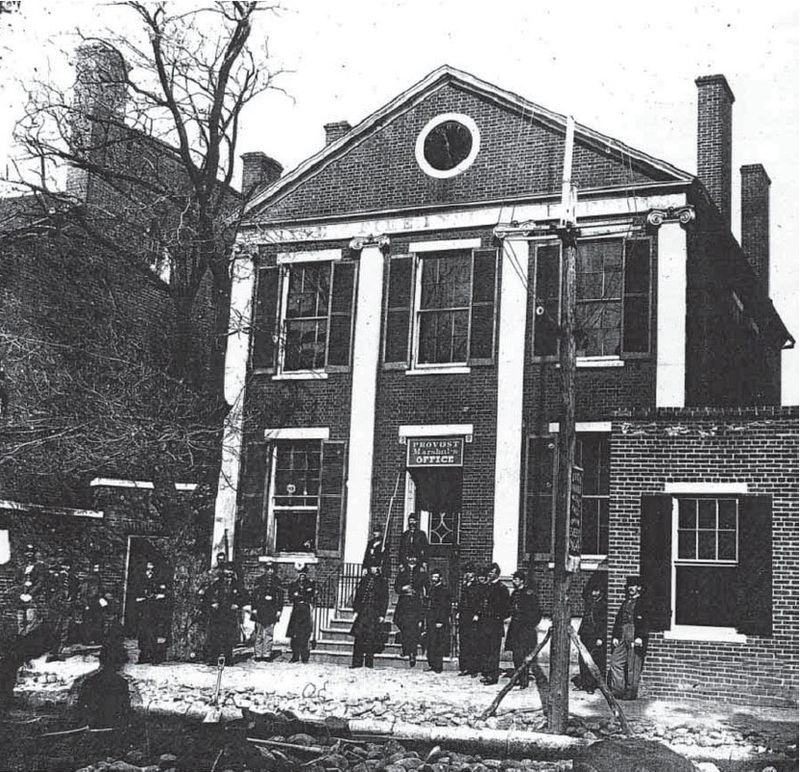 Still, the soldiers chafed at doing garrison duty and deeply resented the sarcastic nick-name of the "Potomac Home Guard Regiment" assigned them by the Philadelphia press during this period. In the coming three years they'd see combat in 22 battles throughout Virginia, Maryland, and Pennsylvania and malicious names would be forgotten and rendered meaningless. A rare photograph of Union Provost Guard outside of the “Slave Pen”, located at 283 Birch Street. In the better known photograph taken by William Pywell in1863, the tree had been removed, and three windows added to the wall behind the soldiers, thereby indicating this photograph was probably taken in winter of 1861 or 1862. Note the infantrymen appear to be wearing dark blue trousers and not the standard issue light blue trousers. The Cameron Guards/88thPennsylvania were initially issued matching dark blue jackets and trousers, and it is entirely possible that given the timeframe and uniforms, these soldiers are from the 88th Pennsylvania. Also of interest is the third soldier from the left who is wearing standard issue light blue trousers and holding what appears to be a saddle. It is possible he is assigned to the 8th Illinois Calvary. Fifth from the left stands the Sergeant of Guard and the Duty Officer stands closest to the tree. 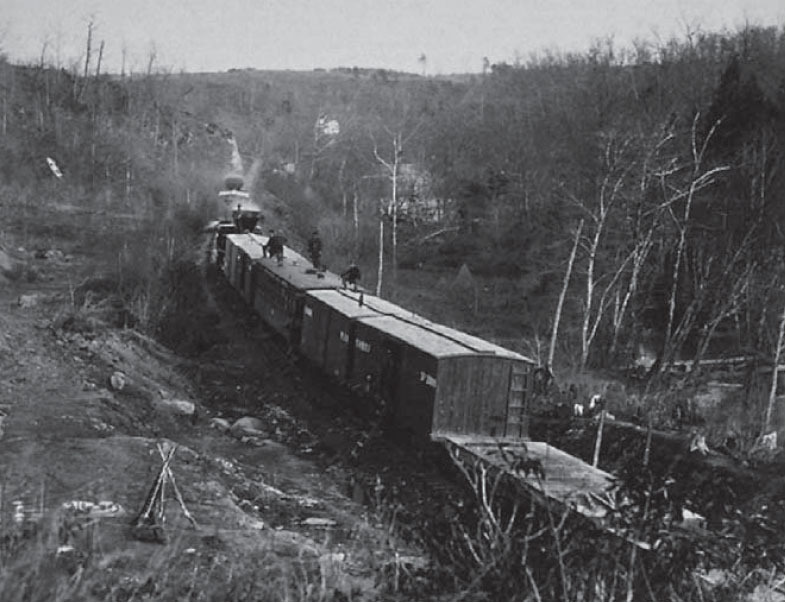 the railroad line from Alexandria to Bristoe/Bristow Station and to the Manassas Gap. It is the first time the two regiments work together and the men form close bonds that will last the duration of the war. The 11th and 88th will often be in assigned to the same brigade and will go through some of the most severe battles of the war together. 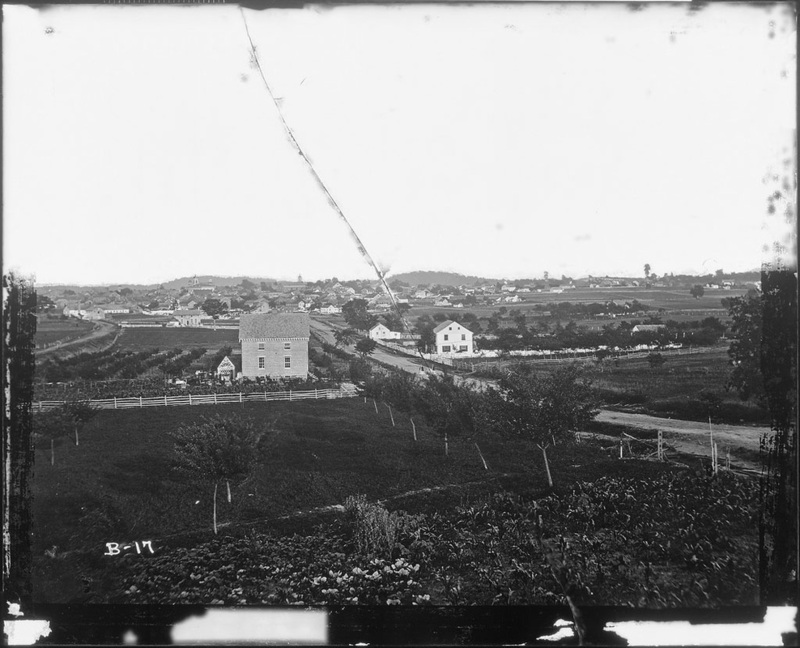 The 88th served in Rickets Division of First Corps during the Battle of Antietam. The 88th entered the battle with 350 soldiers of which they suffered 32% casualties, including two successive acting regimental commanders, 17 killed or mortally wounded and 57 wounded, and 37 missing in action. Cedar Mountain Battlefield viewed from the west. 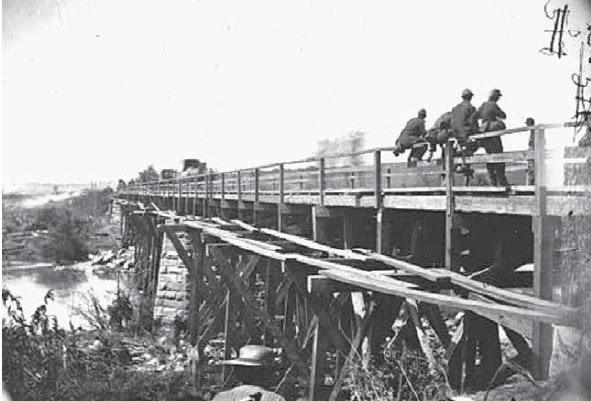 Photograph of the Rappahannock Railroad Bridge taken shortly before being destroyed by the 88th PVI. Source: Library of Congress, # CWPB 00225, Timothy O’Sullivan, August 19, 1862. August 23, 1862—Defense of the Rappahannock fords; Tower’s Brigade is detailed to act as the rearguard for III Corps, and holding the railroad bridge over Rappahannock River, destroys it upon completion of their withdraw. Volunteers from 88th assist in manning guns of Captain Hall’s battery of the 2d Maine Artillery during an artillery exchange with Confederate batteries on the south bank of the Rappahannock River. Four soldiers of the 88th PVI are wounded in action. Beginning in 1863, the 88th PA was often assigned to a brigade commanded by Brigadier General Henry Baxter. O&A Tracks destroyed by Confederates between Bristoe & Rappahannock Station. 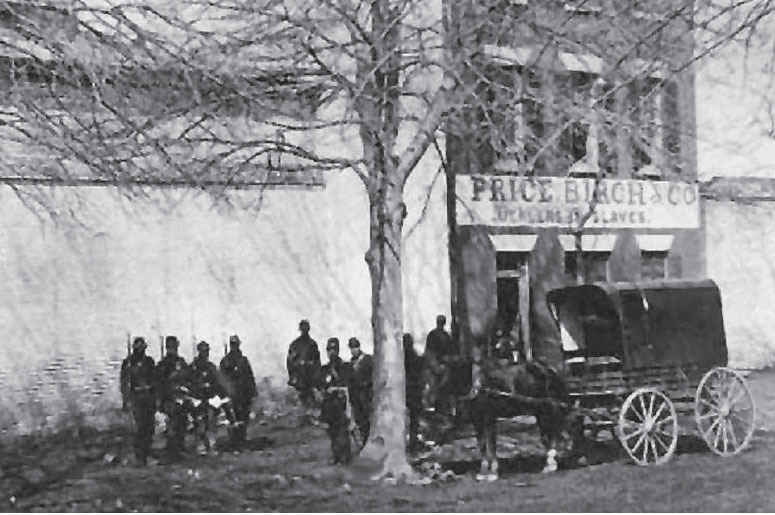 In January 1864 the 2nd Brigade, commanded by Brigadier General Henry Baxter breaks camp and marches to Culpepper, VA. 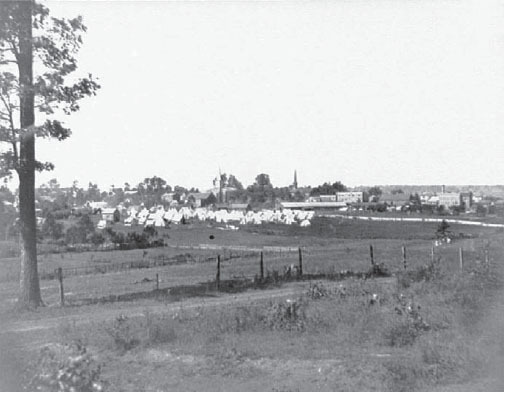 The 88th Pennsylvania, 90th Pennsylvania, and 12th Massachusetts are detailed for Provost Duty in Culpepper, and to the soldiers’ delight; they are billeted in the town. Here they will remain in winter quarters for the remainder of the month. The re-enlistment issue is becoming a hot topic, as a failure to meet the minimum quota will result in the disbanding of the 88th as a regiment. In April 1864 Captain Steeple reports one hundred ninety-nine soldiers and fifteen officers of the 88th have re-enlisted. The number of Officers not re-enlisting is recorded as twenty-three, and the number of enlisted men not re-enlisting is recorded as fifty-eight. Fifteen officers are present; there are one hundred eighty-four enlisted men present or accounted for. Source: U.S. Army Signal Corps, U.S. Archives, NPS file 34. 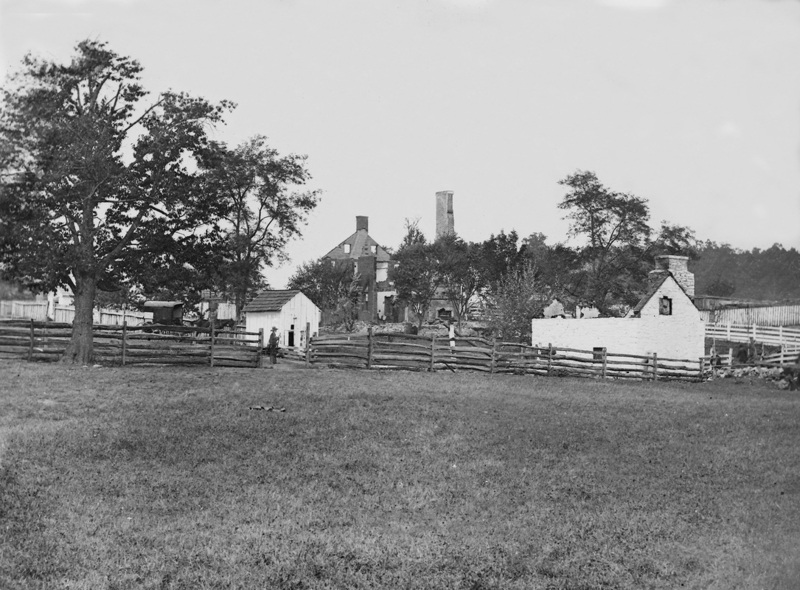 The Battle of Globe Tavern, also known as the Second Battle of the Weldon Railroad was fought August 18–21, 1864, south of Petersburg, Virginia. This battle was the second attempt of the Union Army to sever the Weldon Railroad during the Siege of Petersburg. A Union force under Major General Gouverneur K. Warren destroyed miles of track and withstood strong attacks from Confederate troops under General P.G.T. Beauregard and Lt. General A.P. Hill. It was the first Union victory in the Richmond-Petersburg Campaign. 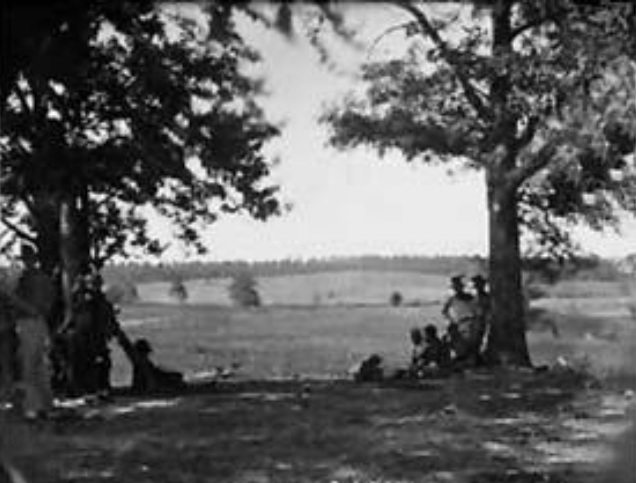 It forced the Confederates to carry their supplies 30 miles by wagon to bypass the new Union lines that were extended farther to the south and west. Captain Jacob Houder commanding the regiment is killed during this engagement and First Lieutenant Sylvester Martin, of Company K, 88th Pennsylvania, will be awarded the Congressional Medal of Honor for “gallantly making a most dangerous reconnaissance, discovering the position of the enemy, and enabling the division to repulse an attack made in strong force”.